Shenzhen residents experienced the hottest winter solstice in 20 years Saturday, with the maximum temperature reaching 26.9 degrees Celsius. Work on the satellite hall of Shenzhen International Airport was officially initiated Friday. Two Shenzheners made it onto a list of 40 outstanding overseas returnees from the 40 years of China’s reform and opening up. Didi Premier, Express and Pool services will link T3 of the Shenzhen airport with its 27 urban waiting halls in Shenzhen, Hong Kong, Dongguan, Huizhou, Foshan and Zhongshan starting January 2019. The State Council, China’s Cabinet, announced special individual income tax deductions Saturday, in order to lower the tax burden for those who have certain expenditures. Shenzhen is on track to meet the majority of its economic and social development targets set for the 13th Five-Year Plan period (2016-2020). Two local companies are on the World’s500 Most Influential Brands list for2018. A total of38 Chinese companies are featured on the list, Chinese-language media reported Thursday. Equipped with nursing desks, hand sanitizer, tissues, smart trash cans and fire extinguishers, eight intelligent nursing rooms were set up in the city and put into use in Yantian District Maternity and Child Health-care Hospital, Shenzhen Adolescent Activity Center and Shenzhen Administrative Service Hall. 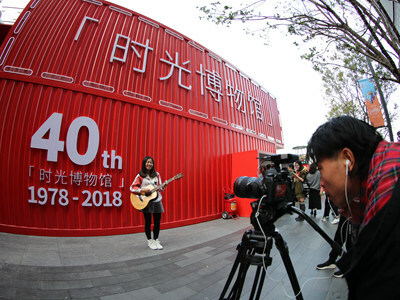 Time Museum, an exhibition themed around the country’s40 years of reform and opening up, opened Tuesday in Nanshan District on its tour of China. Didi Chuxing, China’s largest ride-hailing firm, has launched more than10 new safety functions in its app’s Safety Center in recent months to ensure the safety of passengers and drivers, according to a comprehensive safety plan released Tuesday. Three Shenzheners are among100 people nationwide to receive a State award for their outstanding contributions to China’s reform and opening up, as yesterday marked the40th anniversary of the policy. 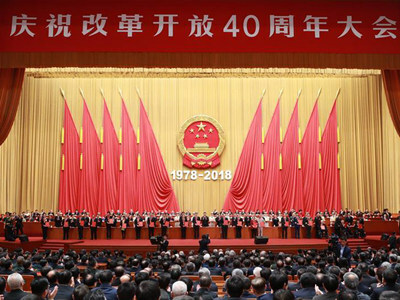 China held a grand gathering in Beijing yesterday to celebrate the40th anniversary of the country’s reform and opening up, a great revolution that has changed the destiny of the Chinese nation and influenced the world. Shenzhen is the symbol of the transformative reforms launched by China 40 years ago: former fishing villages that evolved into an economic hub. Shenzhen is planning to launch a unified platform for handling dog-related services, such as applying for a dog license or dog adoption and searching for missing dogs. More than 500 financial officials, scholars and entrepreneurs from Shenzhen, Hong Kong and Macao brainstormed on boosting Fintech development in the Guangdong-Hong Kong-Macao Greater Bay Area at the 2018 China (Shenzhen) Fintech Global Summit at Wuzhou Guest House in Futian District yesterday. Representatives from three states in America, namely Michigan, California and South Carolina, were seeking investments from Shenzhen companies at a forum Friday. Members of the advisory committee for the Qianhai and Shekou free trade zone gathered at Kylin Villa in Nanshan District on Saturday for the annual meeting to propose suggestions on the development of Qianhai. 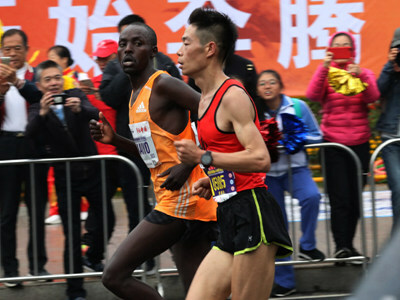 The 2018 Shenzhen International Marathon was held yesterday, attracting loads of avid runners from both home and abroad as usual. 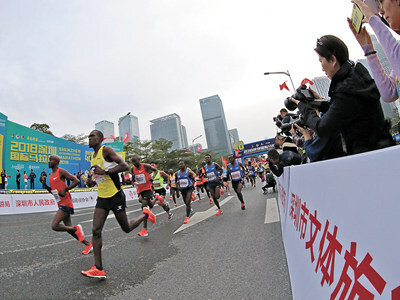 Runners’ enthusiasm for the2018 Shenzhen International Marathon was not diminished even though the sky was overcast yesterday morning, as30,000 contestants from home and abroad gathered at the Civic Center square at8 a.m. ready to hit the road.